Noble Awards specialise in Custom-designs we specialise in Custom-designs, Recognition & Appreciation awards. Our creative approach will customise each individual piece to best reflect your corporate identity or theme. Corporate gifts can be designed and crafted incorporating your individual logo and corporate branding. Businesses are never the same – so, your corporate gifts should be distinctive and reflect the unique nature of the relationship. 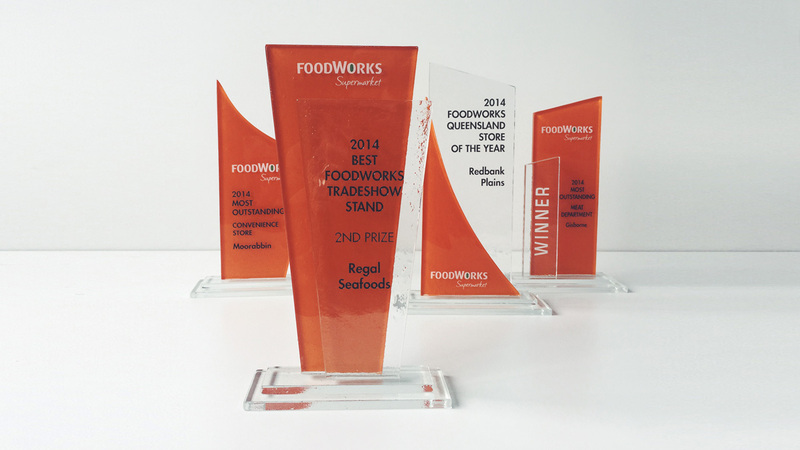 Our exclusively designed business trophies are created by Noble Awards to meet your exacting business requirements. Our team of expert consulants will ensure your corporate image, style and particular interests are truly and creatively represented in your business trophies. Filed under Corporate Awards, Glass Awards, Sports Awards. Tagged Awards corporate awards, crystal awards, employee awards, employee recognition awards, full colour awards, Glass Awards, glass Trophies, glass trophy, Plaques, staff awards, staff recognition, We Supply & Engrave All Trophies Awards.